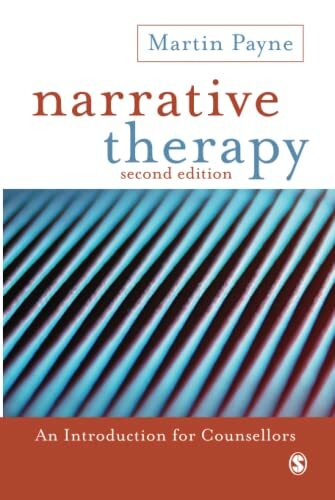 Narrative Therapy: An Introduction for Counsellors, Second Edition, offers a clear and concise overview of this way of working without oversimplifying its theoretical underpinnings and practices. Narrative therapy places peoples' accounts of their lives and relationships at the heart of the therapeutic process. Its main premise is that the telling and re-telling of experience by means of guided questioning can facilitate changed, more realistic perspectives, and open up possibilities for the person seeking assistance to position him- or herself more helpfully in relation to the issues brought to therapy. Drawing on the ideas of Michael White and David Epston, this fully revised, extended and updated second edition incorporates recent developments in narrative theory and practice, and introduces developments initiated by other narrative therapists worldwide. New material has been added around counselling for post-traumatic reactions, couples conflict and a sense of personal failure. The book is illustrated with extensive examples of practice with individuals and couples. It is ideal for anyone on training courses in narrative therapy, and also for counsellors who wish to consider common ground between narrative ideas and their current approach. Martin Payne is an independent therapist and trainer in Norwich, UK.